Warriors Orochi 4 boasts a remarkable 170 playable characters from the Dynasty Warriors and Samurai Warriors universes – giving players an astounding number of options to choose from when playing alone or split screen co-op with a friend. This latest fusion title features the inaugural appearance of Magic abilities, allowing characters to wield phenomenally powerful and visually impressive attacks against their most challenging foes. These new-found powers come from the gods’ most divine artifacts: the Sacred Treasures. In this distorted, merged version of their worlds, all Warriors are unexpectedly gifted with a Sacred Treasure that fuels their spell-casting attacks. Alongside their legacy moves and special attacks, they can now cast ranged and targeted spells or even combine their powers with those of an ally for truly devastating blows. Warriors Orochi 4 was released on 184d ago in the UK and the US. 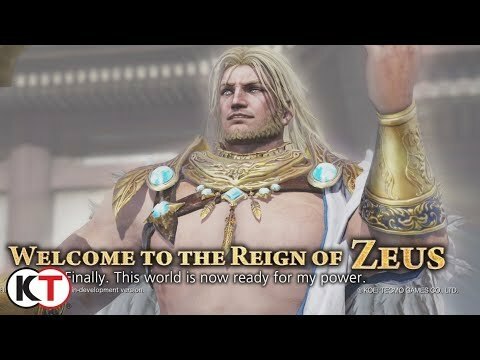 Notify me when Warriors Orochi 4 is available.